We don’t like typical recruiters either. You are important to us and more than just a resume. Our goal is to understand your career aspirations and personal needs to be the best advocate for you. 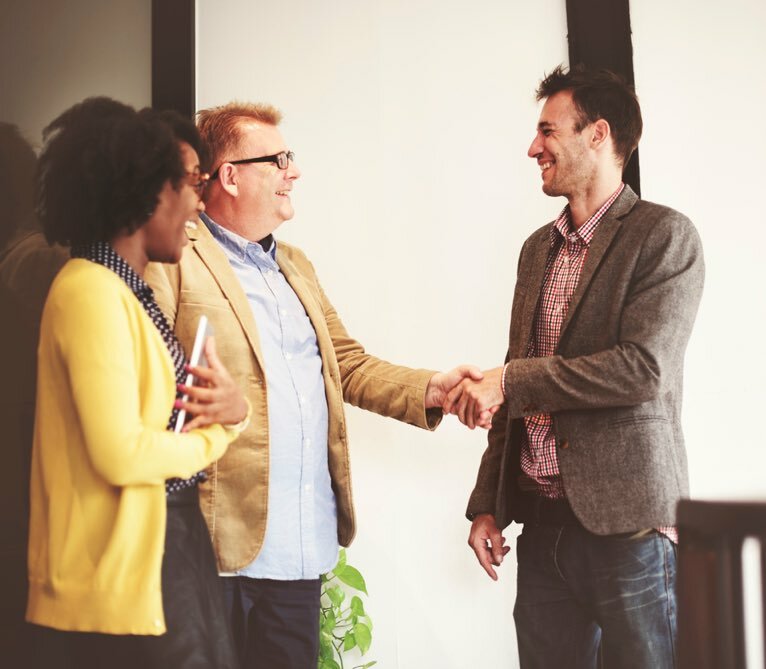 We do more than help talented individuals connect with opportunities that resonate with their personal and professional goals. We guide our candidates through the hiring process and provide them with the support and information they need to make a sound, informed decision that will help elevate their careers and lives. Career transitions are important, and we want to make sure you have a partner in making the right decision. We believe that when the right individuals connect with the right organizations, great things happen. Working with Kelaca was different than dealing with ‘just another headhunter.’ They took the time to ask me about ME, my needs, my expectations and what I hoped to accomplish and then worked it into a comprehensive plan that actually worked. They checked in with me almost every single day, letting me know the process was moving or giving me next steps, and that’s a rarity in a recruiter these days. It made all the difference. I didn’t have to worry about a thing – Kelaca did it all. I couldn’t have asked for a better experience finding myself a new position. I had the pleasure of working with Kelaca on an incredible opportunity in NYC. My experience was phenomenal. My Talent Advisor took the time to thoroughly review my resume, listen very patiently, and document my responses. She questioned everything on my resume to make sure I was the right fit for the opportunity and always kept me informed with transparency and honesty. Once the team is convinced you’re the right fit for an opening, they become your advocates, coach you, and advise the client by fully presenting your capabilities and potential. I put into action my Talent Advisor’s suggestions and changed up my LinkedIn profile and resume. I had a phone screen today and am moving on to a face-to-face interview! I am so thankful for the extra effort that my Talent Advisor took to work on updating my resume. I really think he went above and beyond in his effort to assist me. My Talent Advisor at Kelaca played a pivotal role in my transition into a new analytics role, answering any and all questions I had about the new company I was working for. I appreciated the professionalism Kelaca provided in guiding me through the recruitment and interview process and for the support. We want to talk to you. In the meantime, here are answers to a few frequently asked questions. How do I partner with Kelaca? While we are a client focused Talent Acquisition firm, we welcome interested candidates to submit their resume via our Current Openings page. Your information will be uploaded to our database and one of our Talent Advisors will reach out to learn more. What types of jobs does Kelaca fill? Kelaca partners with clients to fill mid to senior level professional roles across several industries, locally and nationwide. Is there a fee to partner with Kelaca? No. Candidates do not pay fees to be represented by Kelaca for a job opportunity. How do I stay up to date on current opportunities? We encourage interested candidates to keep in touch with us by regularly checking our Current Openings page and following us on social media.